[HollywoodInvestigator.com] Kentucky-based Big Biting Pig Productions ignores horror film cycles. Its slasher and zombie efforts (Maniac on the Loose, Hell Is Full) inject fresh life into these tired subgenres with non-traditional plot structures. And while other filmmakers were creating "found footage" films about TV ghost-hunters (The Feed, The Legend of the 5ive, Haunted Changi), Big Biting Pig's Spirit Stalkers avoided the found footage format, instead focusing on a TV ghost-hunter's moral dilemma. 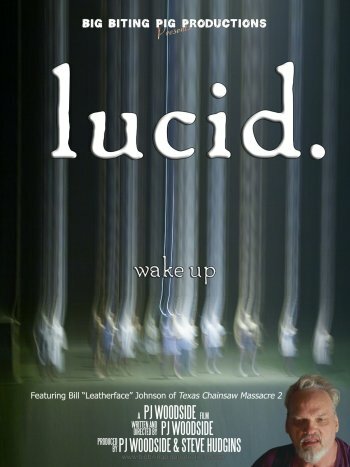 BBP's newest outside-the-mainstream horror film is Lucid, the story of a young woman, Monica (Brittney Saylor), who suffers from lucid dreams -- knowing in your dream that that you're dreaming. Lucid dreaming may not sound so horrible but, this being a horror film, there's a dark twist -- someone or something is invading the dreams of all the town's lucid dreamers, with dire consequences. There haven't been many recent horror films about dreams (Red Kingdom Rising is an exception), but it was a popular topic in the 1980s. Dreamscape and the Nightmare on Elm Street series are famous examples. But one of the best horror tales about dreams is from the 1970s: "The Spanish Moss Murders" episode of TV's Kolchak: The Night Stalker. 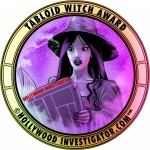 "My main inspiration for Lucid is my own dreaming experience," writer/director PJ Woodside (The Creepy Doll) told the Hollywood Investigator. "Beyond that, I was influenced by Donnie Darko, The Machinist, and Jacob's Ladder. Of course, those are about men, and I always write about women. In Lucid the archetypal woman is the 'new girlfriend who might be crazy.' Someone described Lucid as a 'real head-trip.' I confess I love movies that take me on such a trip." Like most indie film producers, Big Biting Pig keeps its budgets low. Last year's Spirit Stalkers cost $10,000. But Lucid appears to raise that bar, boasting more extras and locations than any previous BBP film. It also features BBP's biggest name yet -- Bill Johnson (Future-Kill, The Texas Chainsaw Massacre 2, The Ray Bradbury Theatre's "Great Wide World Over There"). "This was our most expensive production," Woodside confirms, "for several reasons. Having Bill Johnson, a new camera, more lighting, more distant locations. We ended up with about 150 people in the cast. Taking care of all those people adds up. We're a micro-budget operation. Our movies come in under $25,000. We do get a lot of local volunteers and cooperation. We couldn't have made this movie without their contributions." In Lucid, Johnson plays a child molester/father in Monica's dreams. (His character is named "Paw Paw" -- I guess because he's a "pa" who "paws" his daughter.) Conventional wisdom says that "name actors" help films obtain publicity and distribution. But how can a micro-budget filmmaker recruit name actors? As Woodside explains it: "We have some contact with horror celebrities through conventions and festivals that we attend, and through some of those events' organizers. That's how we got Bill -- by asking around and making an offer. He was wonderful to work with. He has a great sense of what’s needed in a scene, and helps to create an energetic and collaborative environment. I was a bit intimidated at first, but I could see right away that we could trust each other. That trust led to some wonderful moments in the film." 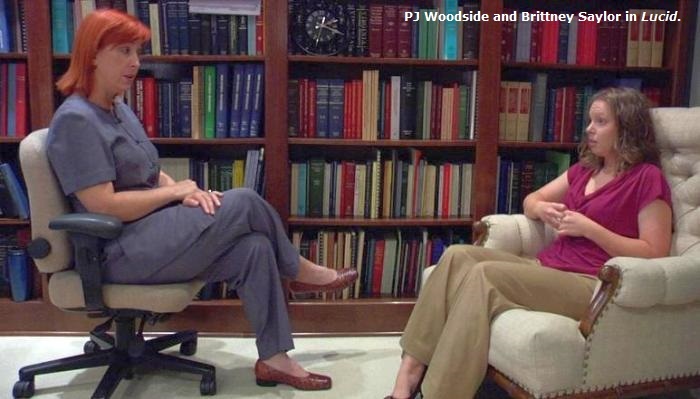 In addition to writing and directing, Woodside also acts in her film, playing the part of a therapist named Faith. Monica comes to Faith, seeking help with her increasingly violent nightmares. 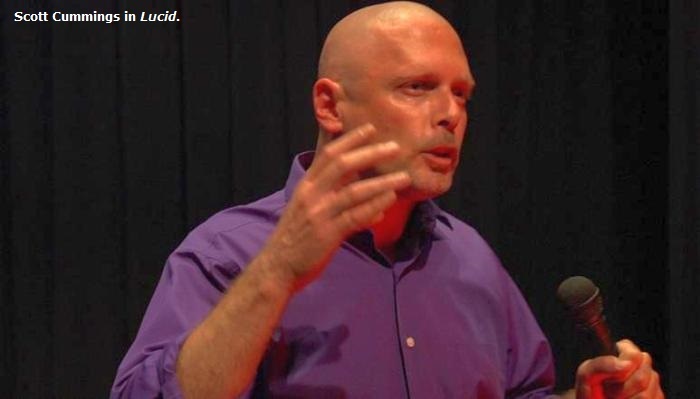 But Lucid's standout performance is by Scott Cummings, who plays a pop psychologist/motivational speaker who specializes in lucid dreaming. Cummings's charismatic and bombastic cheerleading suggests that he really could be a motivational speaker if he chose to go that route. 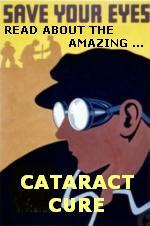 "Scott is not a professional motivational speaker," said Woodside, "but he understood the demands of that character. He knew all about lucid dreaming and various psychobabble subjects. He told me after the audition that his mother listened to a lot of motivational speakers when he was growing up. He understood that world. He was just as charismatic as The Sandman was supposed to be. "When I was watching him during filming, I would get so caught up listening to him, I would forget to direct. In one take he finally says, after about 5 minutes of ad-libbing, 'Do you want me to just keep going on like this or do you have something specific you want me to say?' He was perfect. A lot of the Sandman verbiage in Lucid is Scott's ad-libbed material." Lucid was shot on a Panasonic HVX205A, at 720x24p. It was edited with Sony Vegas Pro. Lucid is currently being submitted to film festivals. "We already have distributors interested," said Woodside. "We're still in the early stages of deciding what will be best for Lucid and Big Biting Pig Productions, but nothing is 'business as usual' after Lucid. We are very excited about the buzz, and hope to see more good things happening in the near future."